The Clare team to play Tipperary in this Wednesday’s Munster under 21 hurling championship semi-final shows two changes from the side which started against Limerick in the opening round. Alan O’Neill returns from injury and will line out at centre back where he was impressive during last year’s campaign. Conor Cleary moved to wing back releasing Jamie Shanahan to play at wing forward to the exclusion of Shane Gleeson. Eoin Enright who has been struggling to overcome injury loses out to Shane McGrath who will play at centre forward. Enright has recovered from a shoulder injury and is named amongst the substitutes. The team includes six players who all saw action against Wexford in the senior Qualifier replay on Saturday last. They are Jack Browne, Seadna Morey, Tony Kelly, Colm Galvin and Peter Duggan who started in that game and Jamie Shanahan who was introduced for extra time. 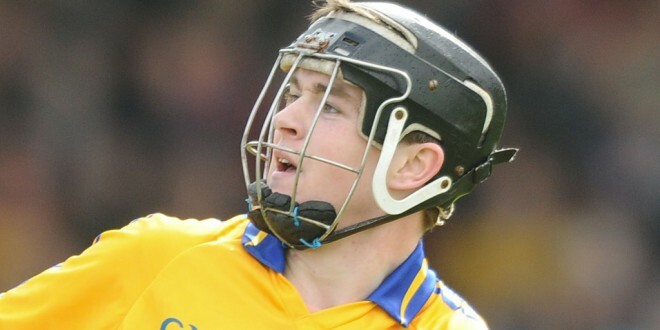 Cathal O’Connell, a regular in last year’s victorious team, will miss the game due to a hamstring injury.